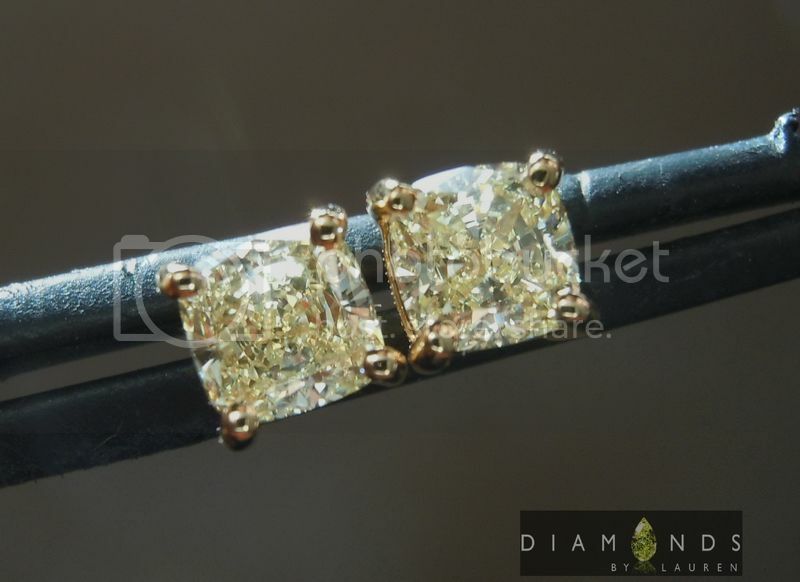 Here is a pair of earrings featuring superbly well cut Fancy Colored Diamonds. 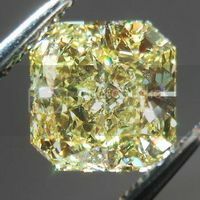 How dare I call a W-X or Y-Z diamond, "Fancy Colored"? 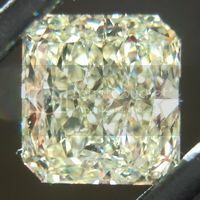 Because it is truly a non white, fancy colored diamond. 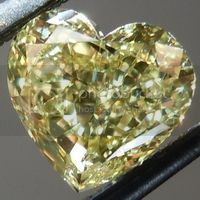 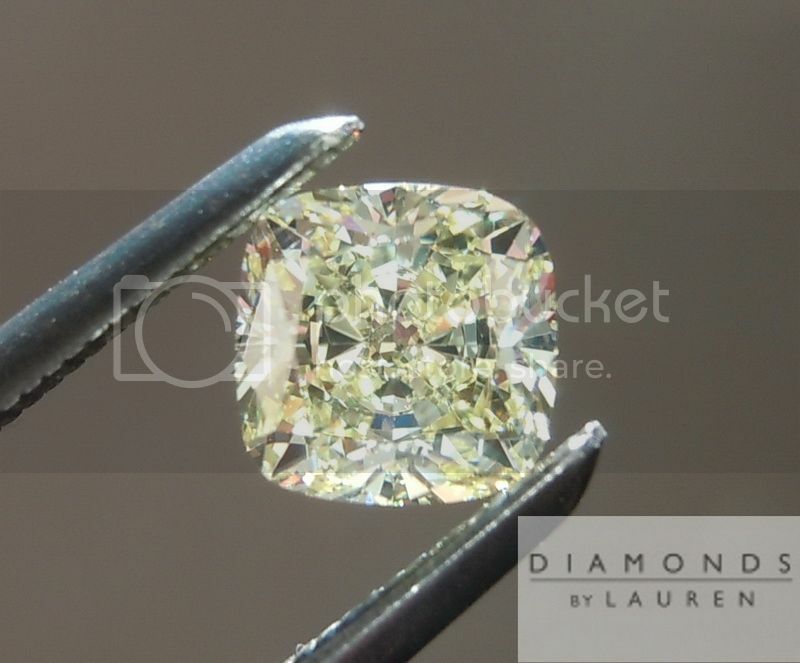 Cut is very important to me, when I am selecting diamonds for our website. 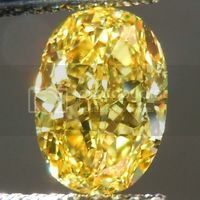 The reasons are many, but a very important one is that we actually own the diamonds on the site. 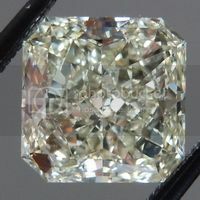 That means we purchase them from the cutters, unlike the majority of our competition. 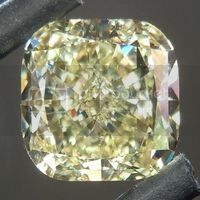 We take a whole lot of time selecting the finest, most desirable stones on the market to offer to you. 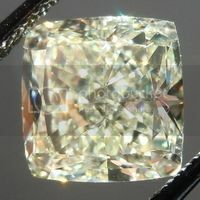 People who are not looking for the cheapest, rather a solid value on high quality of product and service. 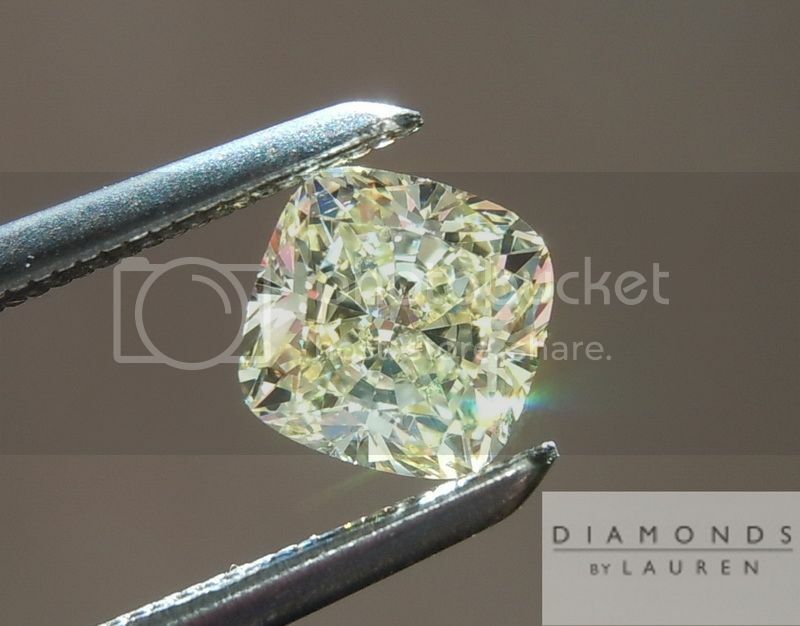 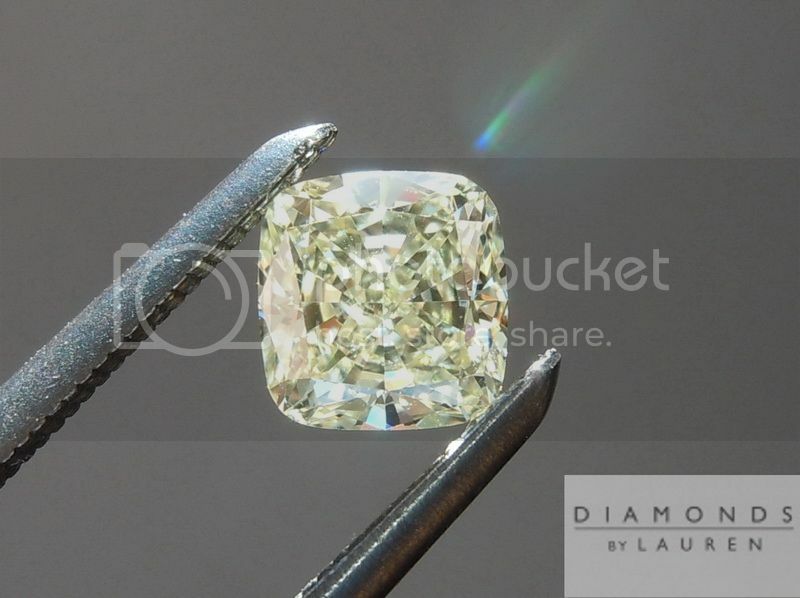 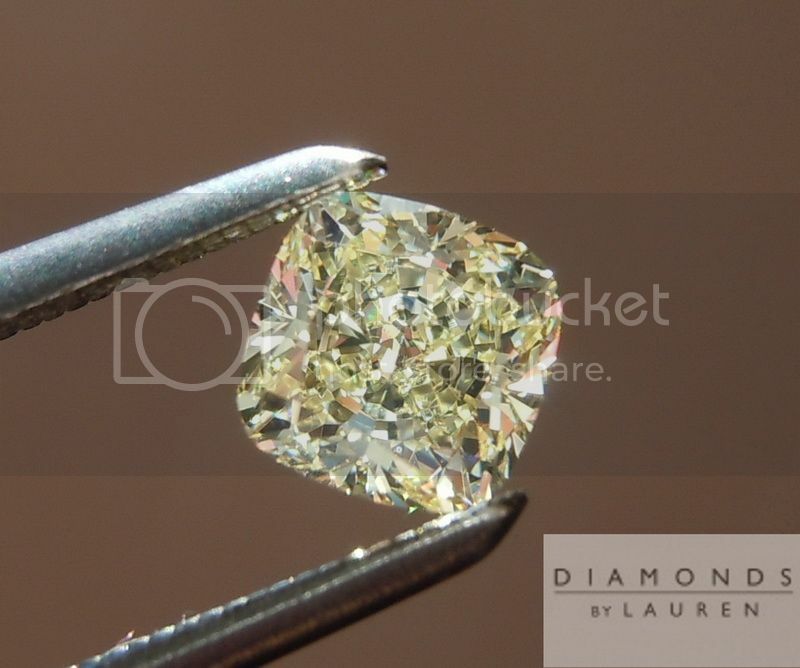 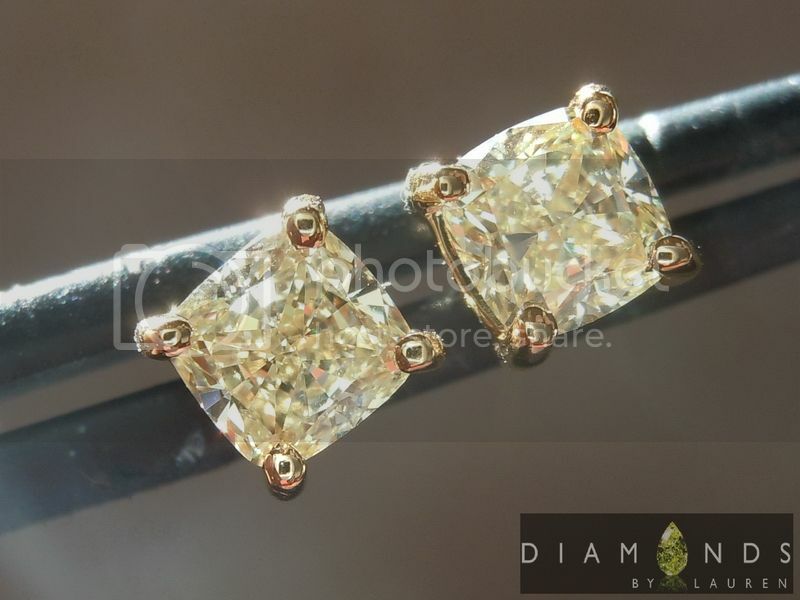 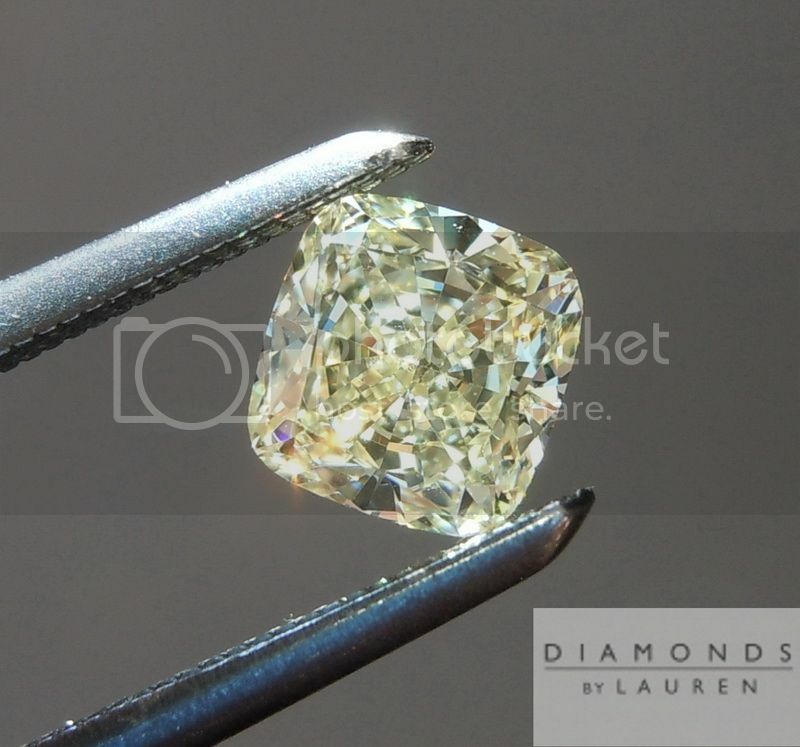 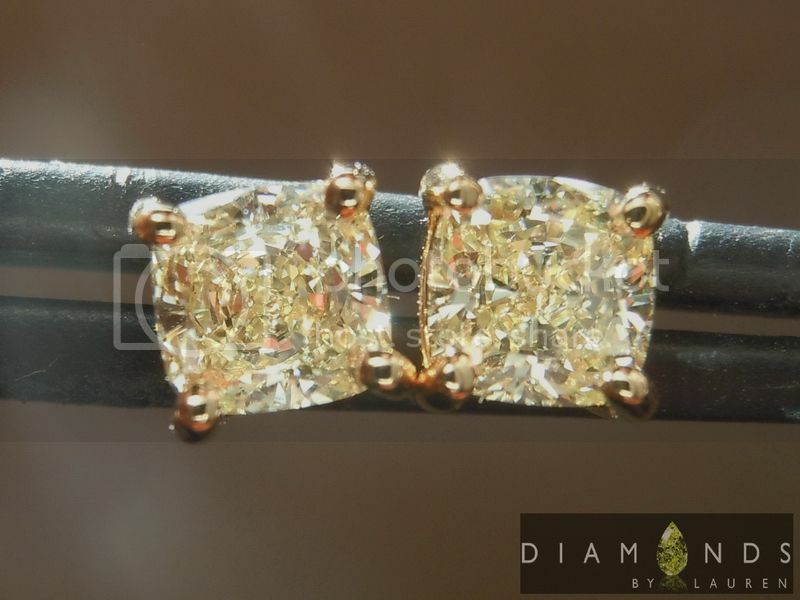 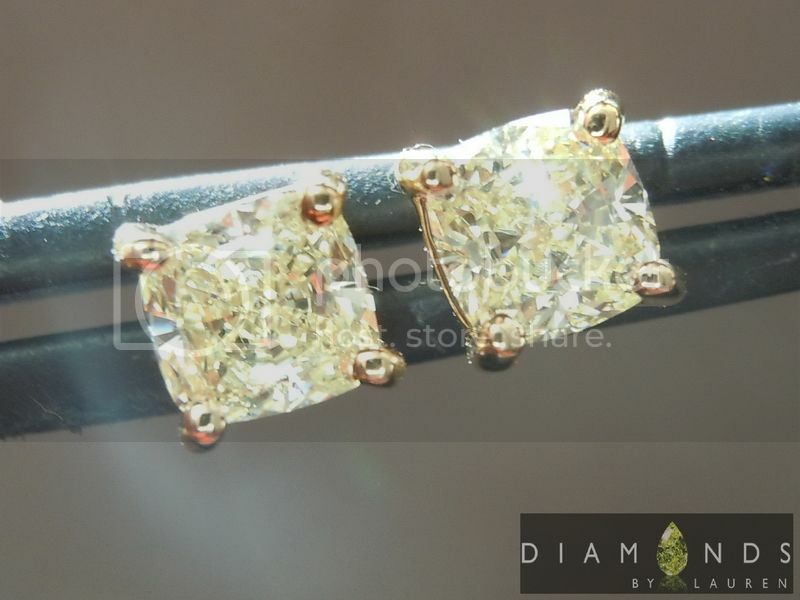 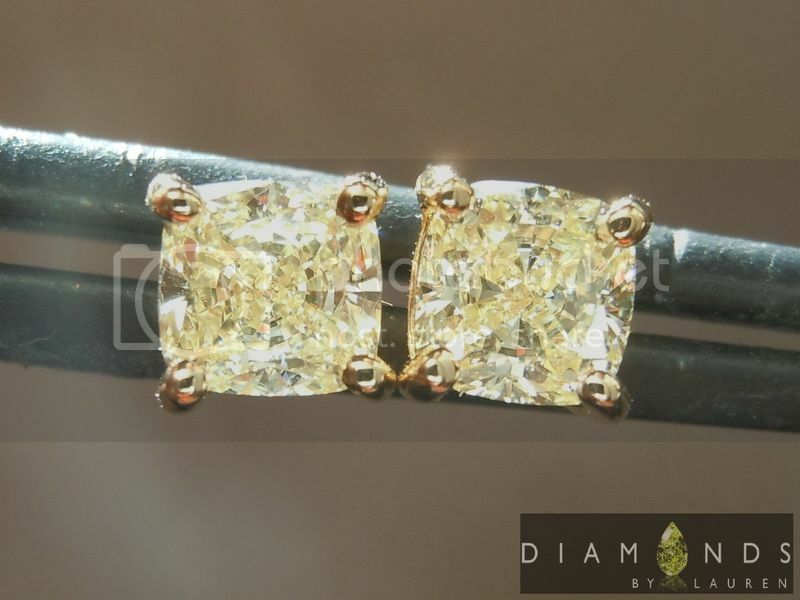 Below are photos of the .54ct W-X VVS1 Cushion Cut Diamond. 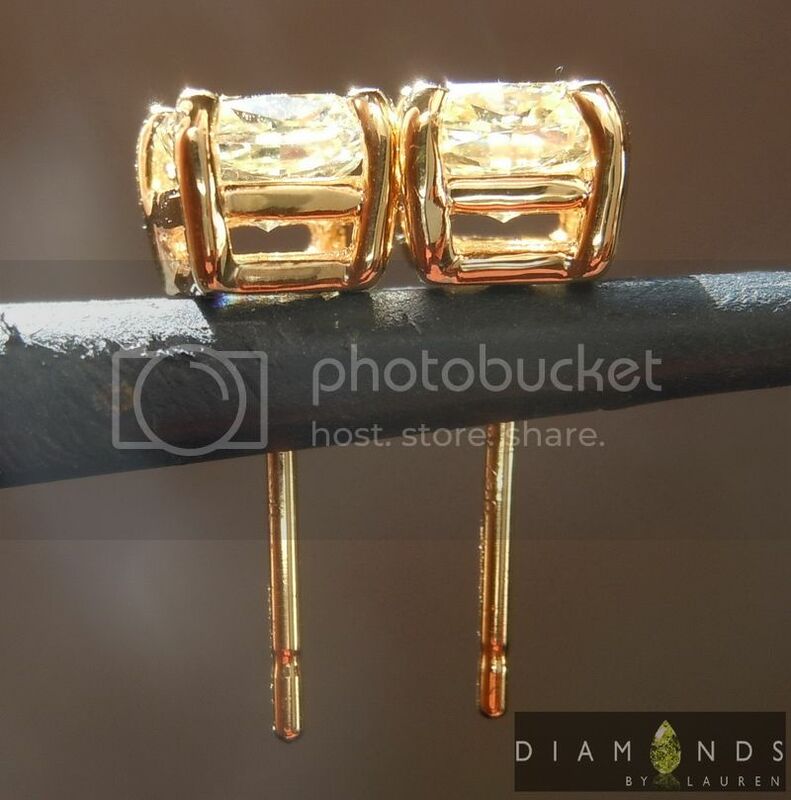 Together they make for a stunning pair of earrings.